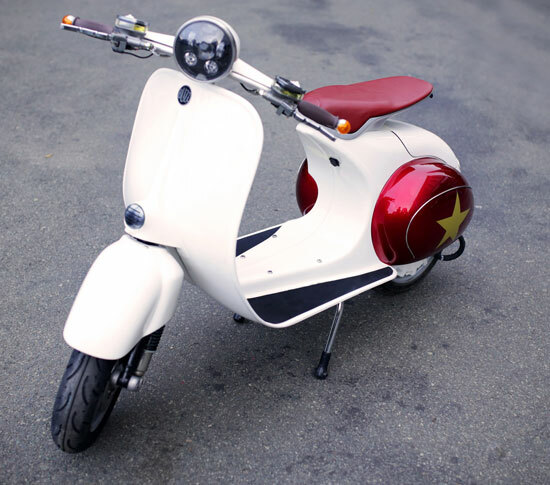 The Eco Buzz 1 electric scooter. Yes, it does like an original at first glance. But at second glance you can obviously tell it isn’t. It’s the all-new Buzz 1 electric scooter. A new name meets old-fashioned styling. 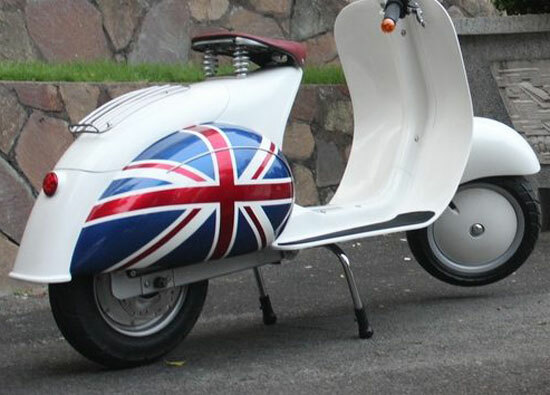 This is, of course, based on the Vespa of 50+ years back. That’s the big selling point and the brand identity. But certainly not the only selling point. 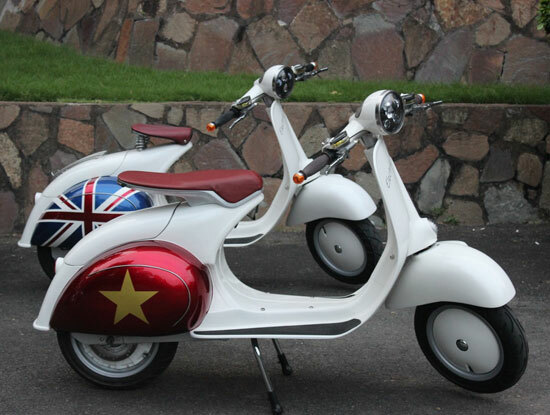 The finished version of this prototype scooter isn’t going to sell on looks alone. It needs the technology to match. 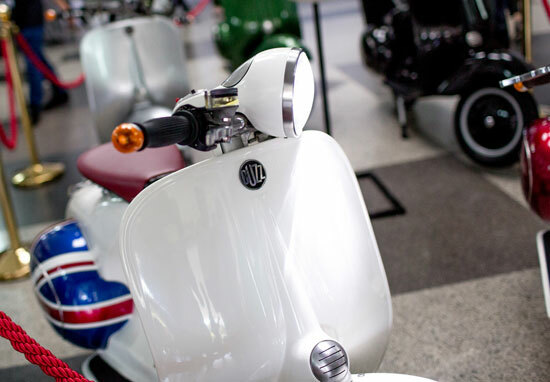 This scooter packs in lithium-ion polymer batteries, regenerative electric braking and hydraulic disk braking (so braking boosts the battery), a removable roof system with solar panels (although to be honest, the roof looks a little odd), a slow reverse gear for easy parking and a weatherproof shell and steel tubular chassis. 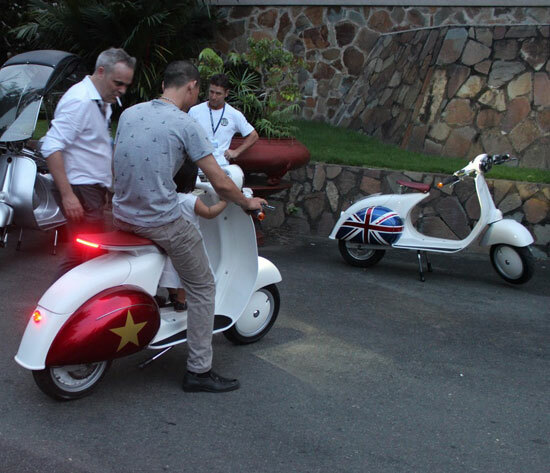 Fast charging of the scooter take just 12 minutes, although it probably needs an overnight charge for any distance. Talking of which, the maximum distance right now is around 240km, with plans to boost to 400km. Top speed depends on the model you go for, but is up to 120km/ph. There’s more detail and more images on the website, with a contact form if you want to know more. Details in relation to price and sales are said to be following this year. Cheers to Kurt on Facebook for bringing this one up. 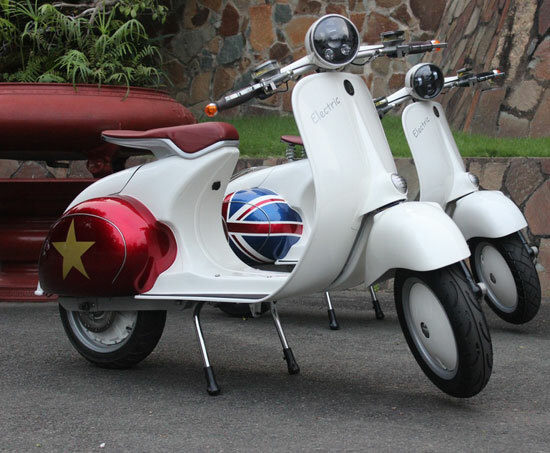 This entry was posted in Home, Scooters, Vespa Model Guide. Bookmark the permalink.